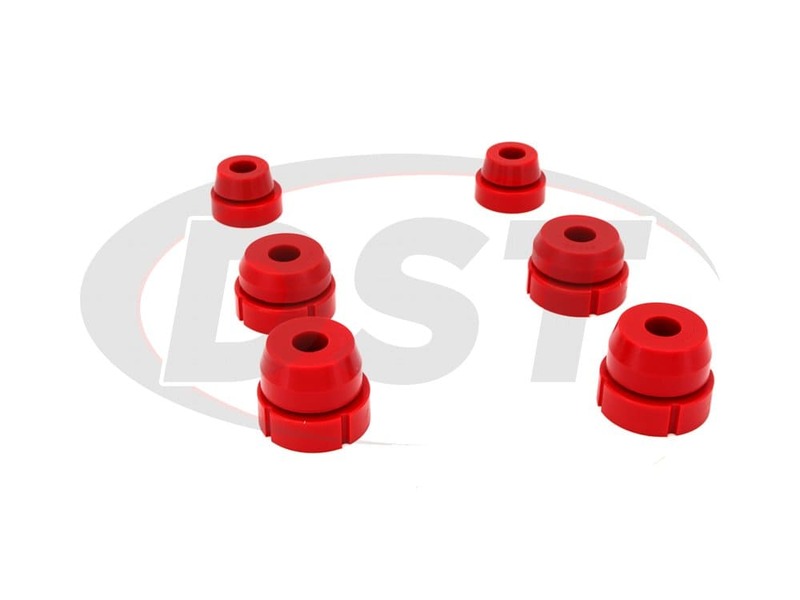 Prothane's Complete Polyurethane Body & Radiator Mounts for your 1965-1979 Ford F100, F150, F250, F350 2WD will keep your cab/radiator properly aligned. Unlike other materials Polyurethane will not break down due to time/weather or road grime. This kit will fix dangerous fender/door gaps, keep your doors opening/shutting properly and save you money. With installation times easier and faster than spelling supercalifragilisticexpialidocious, you'll have no problems intalling these new mounts. *6110 is for 1965-1979 2WD Ford Trucks ONLY for 1965-1979 4WD Ford Trucks please see 6105. 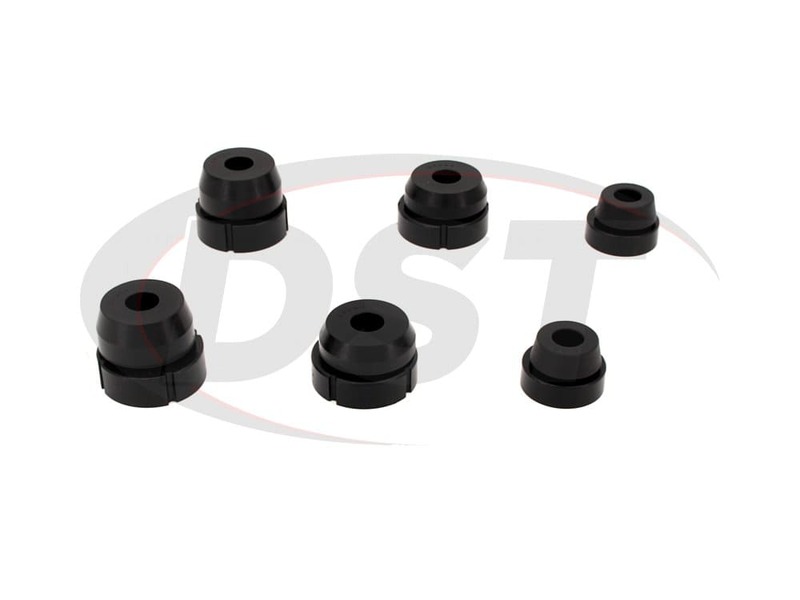 Body Mounts are supposed to cushion your Fords ride, but over time it's OE rubber mounts break down leaving you with a less than comfortable ride. Radiator Mounts are supposed to keep your radiator in just the right spot, too close to the engine and it heats up your coolant. 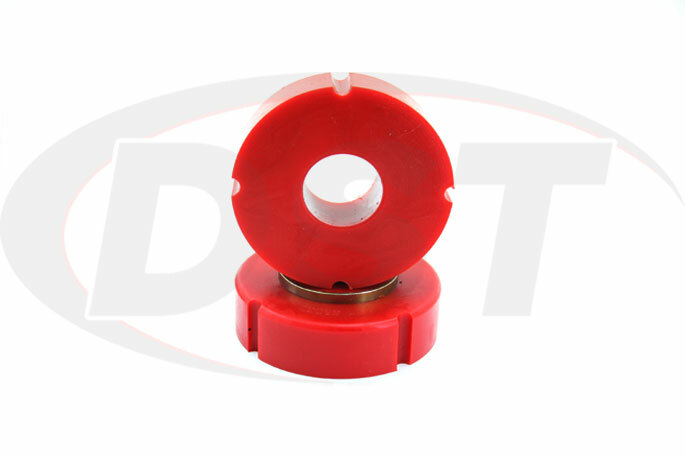 Prothane's polyurethane mounts allow maximum efficiency and extend the life of your bushings. 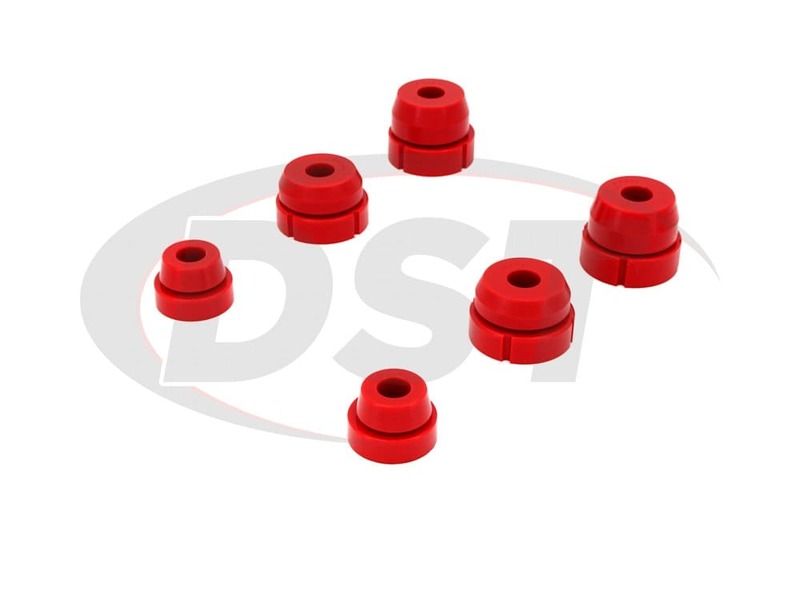 These mounts are what's responsible for keeping your Classic Ford's fender and doors in place, if the bushings fail then the body begins to sag. Not only would this be an eyesore, but it also poses a danger, if your door catches your fender it could cause some serious body damage. Not to mention this could put your doors in a bind and make them harder to open and close. Prothane's Polyurethane Mounts will last the lifetime of your Ford and allow you to use your OE hardware to save you money. If you're looking to fix those dangerous/ugly fender/door gaps then look no farther, Prothane's Complete Polyurethane Body & Radiator Mounts are what you need. 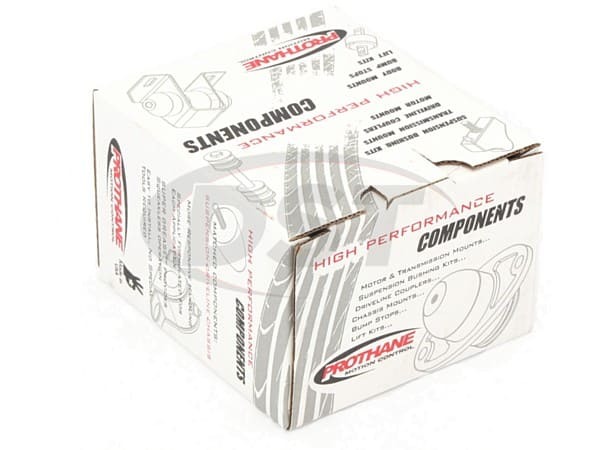 Here at Suspension.com we personally stand behind our parts and handle all of Prothane's Lifetime Warranty in house. If you have any questions or concerns you can give us a call or live chat with one of our expert customer service team members. Parts fit just as if they were factory made. Looks good solid easy to install perfect for my ride. 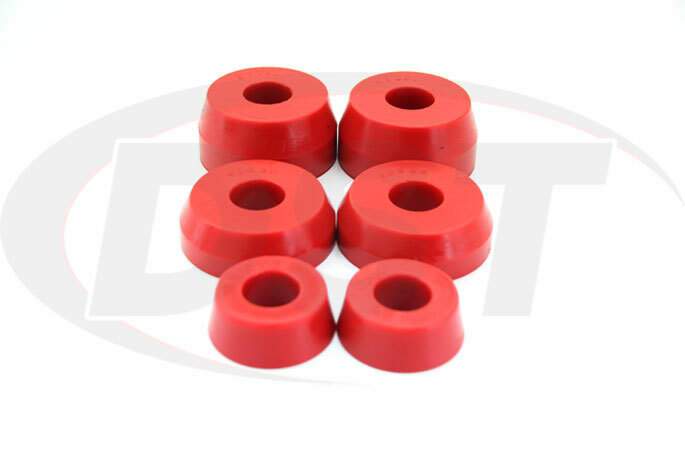 I purchased these bushings after reading several reviews online. The parts were shipped quickly and fit my Ford F-100 restoration project perfectly. Easy to install and the instructions were clear cut and simple to follow. The ride is comfortable. These bushings should last a lifetime. Very pleased. Do you make a cab to frame bushing kit for this vehicle? I cannot find an application for a 4x4. No, part number 6110 will not fit the 1970 ford f250 4x4. You would need part number 6105 for the 4wd. Does this kit come with the hardware? No, we do not have any hardware available for part number 6110. 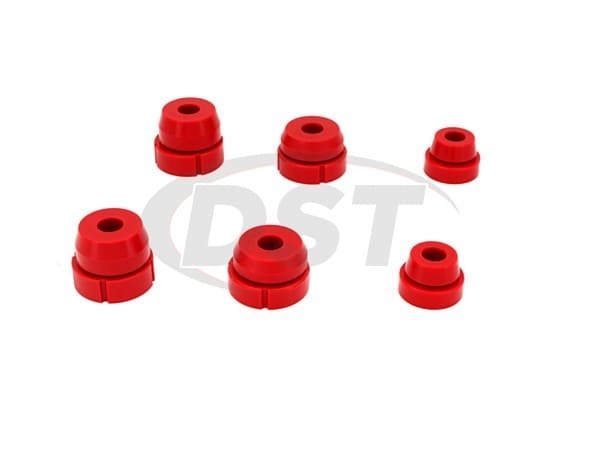 Do you sell hardware kits for the cab and radiator support bushings part 6110? Will part number 6110 fit my 68 f100 4x4? or 2wd or only? No, part number 6110 will fit the 68 f100 2wd only. For the 4wd, you need part number 6105. Are the bushings in part number 6110 also referred to cab mounts? 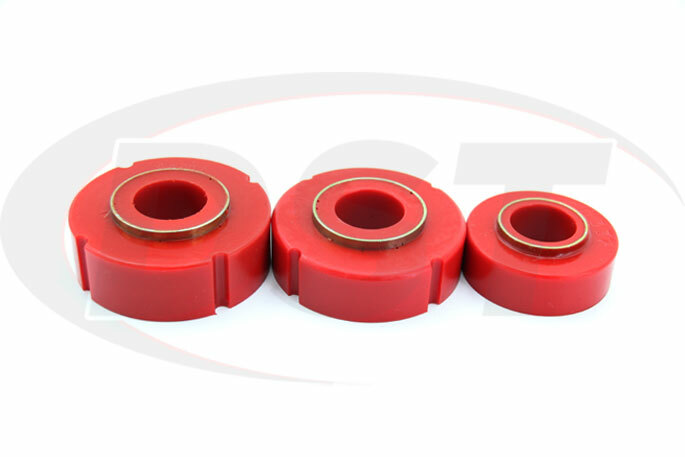 Yes, part number 6110 are commonly referred to as either body mount bushings or the cab mount bushings. Does part number 6110 come with the bed mounts? No, we do not sell the bed mounts. Is there bed mount bushings included with this kit? If not do you have those for this application? Do you have the hardware available for part number 6110? No, we do not have the hardware kits available to go with the 6110 kit. In the 6110 kit, are the radiator support bushings and hardware included? In the 6110 kit, the radiator support bushings are included but it does not come with the new hardware. Is grease required for part number 6110? No, grease is not required for part number 6110. However, if you choose to use it, you will need to use marine grade grease. Can I still use the original mounting hardware with these bushings? 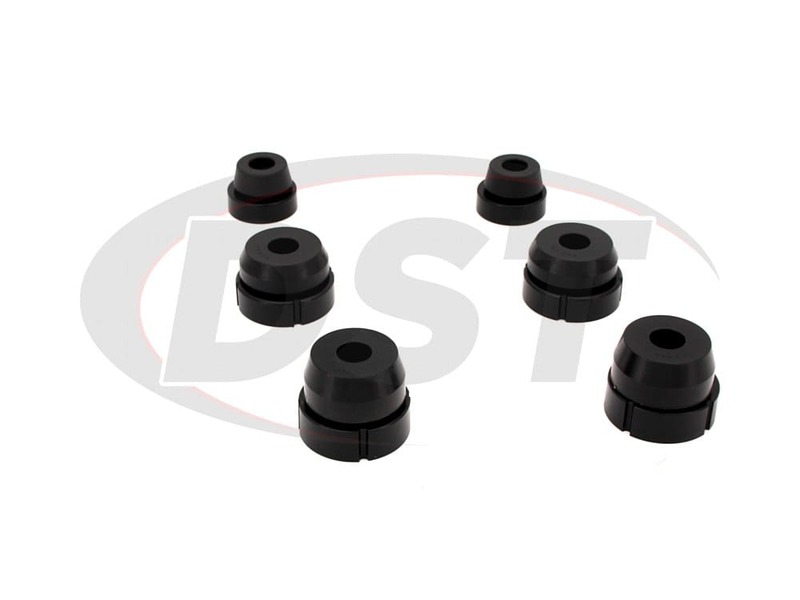 Yes you may use your original hardware with these body mount bushings.